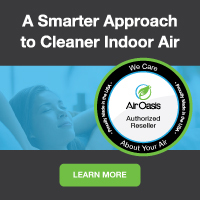 A Powerful, Quiet Compact Large Capacity Commercial Dehumidifier with Up to 192 Pints Per Day Moisture and Humidity Removal, 410 CFM, Over 10,000 Cubic Foot Coverage, Gravity Drain, Great for Construction, Mold Remediation, Water or Storm Damaged Areas, Abatement & More, All at a Discount Price with Free Shipping. Low-Temperature Operation: Performs well at low temperatures, as low as 37 degrees F.
The RM4500 commercial/industrial dehumidifier was designed to provide energy efficient humidity control in a wide range of applications including large office buildings, laboratories, storm damaged areas, large basements, construction job sites, mold remediation and abatement jobs and much more. It is a quiet, high efficiency, high capacity commercial dehumidifier for sale that is designed to suit the moisture removal needs of large rooms and spaces. The range of RM4500 dehumidifier are not only removes excess moisture very well, it also prevents condensation from forming on windows, walls and ceilings which helps stop mold and mildew and eliminate rust and corrosion. The RM4500 dehumidifier not only looks the part, but is also capable of outperforming competitors models of similar capacities. The RM4500 is also available in Dual Voltage making the unit ideal for the hire trade. The robust ridged handle and large diameter durable wheels ensures easy transport and maneuverability are not compromised. It’s lightweight yet robust design is ideal for commercial and residential work. Its compact size permits one-man operation, yet it has the capacity to handle several room-size areas at a time. Best of all, it’s affordably priced within the budget of most restoration specialists. The RM4500 housing also incorporates the ability to safely stack units, thereby significantly reducing storage and transportation costs. No more worries of forgetting to empty buckets! Connect to a permanent drain, and forget until the job is complete. 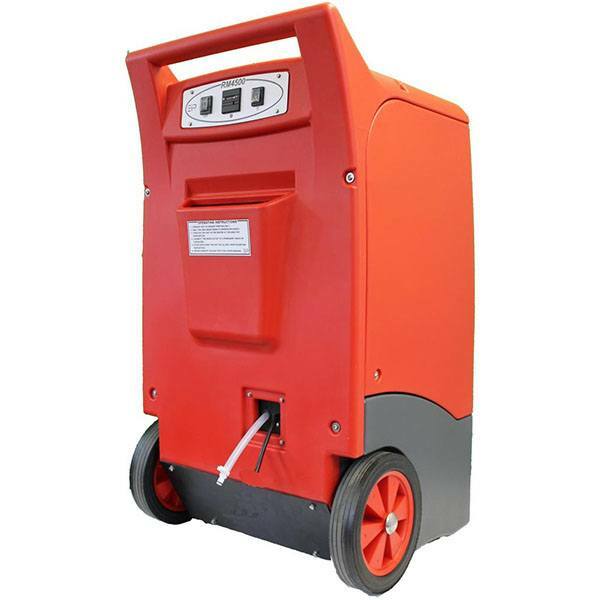 With the aid of a condensate pump, all residual water can be drained from the pump tank prior to moving the machine therefore eliminating the chances of spillage. The RM4500 is also equipped with a “Reverse Cycle” defrost system, ensuring a quick and efficient clearing of ice from the coil, allowing a minimum operating temperature of 3°C (37 degrees F). The RM4500 even comes supplied complete with cable and hose tidies, Not only will this reduce the possibility of damage when the units are transported, but also provides easy installation when positioning the equipment. 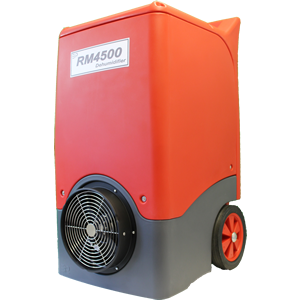 The RM4500 Professional Dehumidifier is a rugged, yet mobile piece of equipment that will operate under extreme conditions and aided by its “Dual Cool” technology, pull large amounts of moisture from the air. Whenever there is a need for fast dependable, energy efficient drying in a commercial, industrial or even large residential room, the RM4500 can provide results at the lowest possible cost. Order your EBAC RM4500 Portable Large Capacity Commercial Dehumidfiier here at a discount online sales price and enjoy fast, effective moisture removal in virtually any residential, commercial or industrial space!